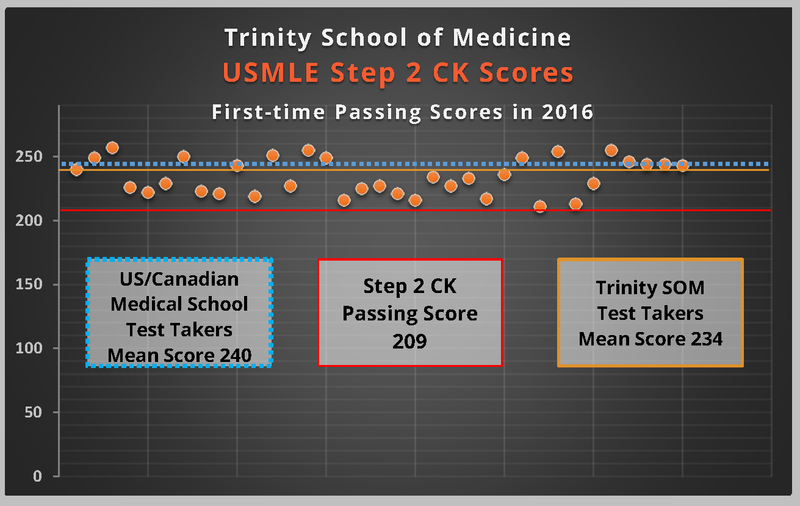 Calling 2016 a big year for Trinity School of Medicine is an understatement. At the end of last year, we called 2015 "A Year in Service, with Another to Come." We were proud of our students, but that title was issued almost as a challenge. To nobody's surprise, Trinity's students rose to that challenge and surpassed it. The following stories represents Trinity students taking part in several hundred acute and chronic care encounters, over two dozen 77 gallon shipping barrels' worth of supplies, and very specific, active outreach for orphaned children with HIV, AIDS, and developmental issues. 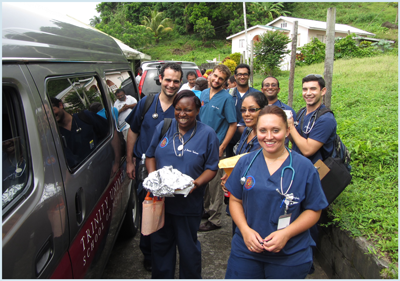 The continued outreach activities of our students, done on their own limited freetime while in the middle of medical school, should tell you precisely what sort of person is both attracted to Trinity School of Medicine and what sort of mindset we find it takes to become a physician the world needs. 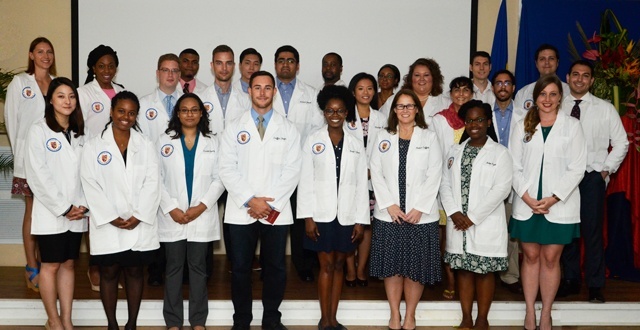 Trinity School of Medicine recently held its May term white coat ceremony earlier this month at the main campus on St. Vincent in front of an audience of friends, family, faculty, and local medical VIPs.